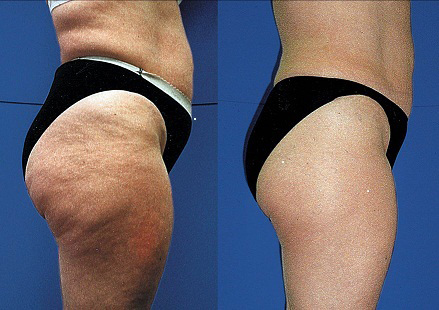 Cellulite is lumpy unevenly distributed bulges of fatty tissues which often have a cottage cheese consistency. It is composed of gel like lumps of water, fat & resides of toxic substances that should have been eliminated from the body. Cellulite usually resides in the hips, thighs and buttocks regions. Cellotherm heat stimulates the body metabolism in specific areas so that 'targeted fat' cells are burned. Cellotherm heat's fast, specific action is based on the fact that increasing the body temperature provides the chemical energy that stimulates the metabolism. One specially benefit of using cellotherm heat therapy is that, it strengthens and firm tissues, which can help to reduce cellulite substantially. The cellotherm heat therapy is able to accelerate chemical changes within the epithelial cells which breakdown the fat droplets so that the lymphomas can dispose of these fats are wastes, via the lymphatic system and through the skin by perspiration.